We kicked off our third ESL class on Wednesday night. The class got off to a good start. There was a woman in the parking lot with her three children before the class. I told her about our free English class, and invited her to come. She came! Then she called two of her sisters and they joined the class as well. The woman’s name is Anna. Anna said she is going to invite more friends next week. The Lord has blessed us with a people gatherer. She is a person of peace. All the teachers at Fay Elementary School will be giving each student a flyer promoting the ESL class today, so we should have even more students next week. I thank the Lord for how he has opened the doors for us to expand our ESL outreach. We started 2013 with one class, and now we have three. 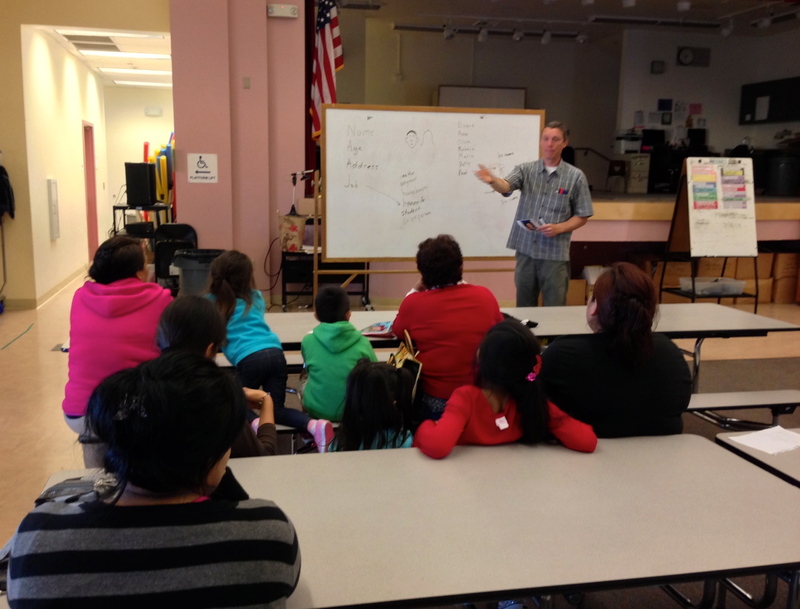 We still have a ways to go to develop our ESL program, but we’ve made some great progress. It’s gratifying to see the Lord bless. I’m so encouraged, and I feel like I’m just watching God work. It’s fun to be on this journey with Jesus. I know a big reason for the success we’ve had is our wonderful prayer partners. Continue to pray for our teachers, childcare workers and more students. Pray that we will be a blessing to the community, and that the Lord touches the hearts of those that come. Pray that God continues to bless as you fulfill the Great Commission for His glory. Thank you – we are praying the same way, so I appreciate your encouragement and your prayers. May God continue to bless (t)His amazing ministry! Thank you – we are praying that it will grow – that it will be a blessing to the community and a bridge for the gospel to enter in. There is something so special about this, Pastor Dave! Praying with you as you bless your community! God bless you!